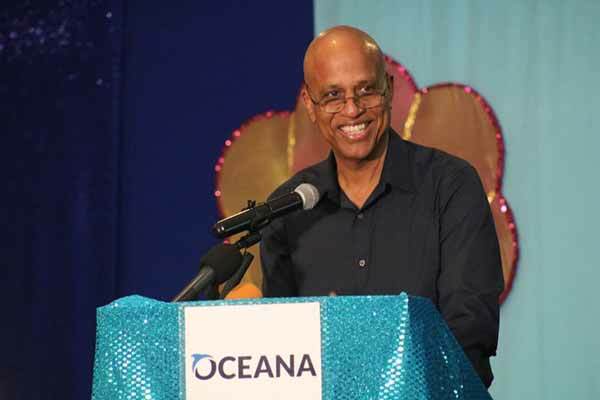 As part of national activities commemorating World Oceans Day 2018, Oceana in Belize and the Belize Coalition to Save Our Natural Heritage officially recognized the Government and people of Belize for their collective leadership in establishing the world’s first indefinite moratorium against offshore oil. The Ocean Champion award was formally presented to Rt. Hon. Prime Minister Dean Barrow during ceremonies in Belize City on Saturday, June 9th, 2018.
is extremely important, it is of course, just one step. As the speakers before have made clear, ocean conservation is an ongoing exercise necessitating the deployment of constant vigilance and a toolbox updated as required in view of the continuing challenges. I also want to quote Mahatma Gandhi, who famously said “If the people lead, the leaders will follow”,” Right Honorable Prime Minister Dean Barrow. job and food security is irrevocable. Big deal over very little really. Its only a moratorium. A reserve can be dereserved at any time. Our PM has in speeches has said he does not care about the UNESCO designation of the reef. So that is who is in charge.